San Mateo is often said to have a perfect climate, but that reputation actually belongs to Redwood City which was voted in the top three of the world by the US and German governments many years ago along with the North African Mediterranean coast and the Canaries. Well, OK, San Mateo is only eight miles from Redwood City, so let’s not quibble! San Mateo is pretty good! So the weather maybe as near perfect as you can get, but what about dental implant specialists? If you are looking for San Mateo dental implants you may be pushed to find an expert in the city. In fact, most people looking for San Mateo dental implants eventually give up and come to San Francisco where you can find Dr Alex Rabinovich at the San Francisco Dental Implant Center who is most definitely a specialist. Dr Rabinovich is one of the world’s most highly trained and skilled dental implant specialists and also a cranio-maxillofacial surgeon. There is nothing to know about dental implants that Dr Rabinovich doesn’t already know. In fact, he has written several authoritative papers on the subject and is frequently asked to speak at dental conventions. He is the dental implant specialist that other dentists go to when they want to learn the latest and best procedures. You simply could not be in better hands than those of Dr Rabinovich and his partner Dr Noah Sandler for San Mateo dental implants. Dr Sandler, too, has been carrying out dental implants for over 20 years in Minneapolis, Minnesota, and has recently joined Dr Rabinovich in San Francisco to form what is probably the best dental implant team in the world. Here at San Francisco Dental Implant Center neither of our doctors will ever dream of using anything but the best dental implants available. Yes, you can get imported dental implants which are cheaper. They are still not “cheap” but do cost a bit less than the best. However, our philosophy is that our patients want nothing less than the best and that is what we provide. 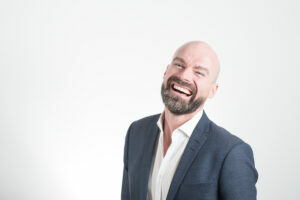 After all, if you are looking for dental implants in San Mateo that is what you want: something that is going to last for the rest of your life, not something that might need replacing in a few years’ time. Our doctors use the very latest computer tomography machine which produces an image far better than an ordinary X-ray and enables them to see precisely where to place an implant to avoid damaging any nerves, which is always a possibility with a lower grade image. If you want the very best, come and talk to either of our doctors. Both offer all patients a totally free consult which you can book by clicking on the Contact Us link at the top of the page.